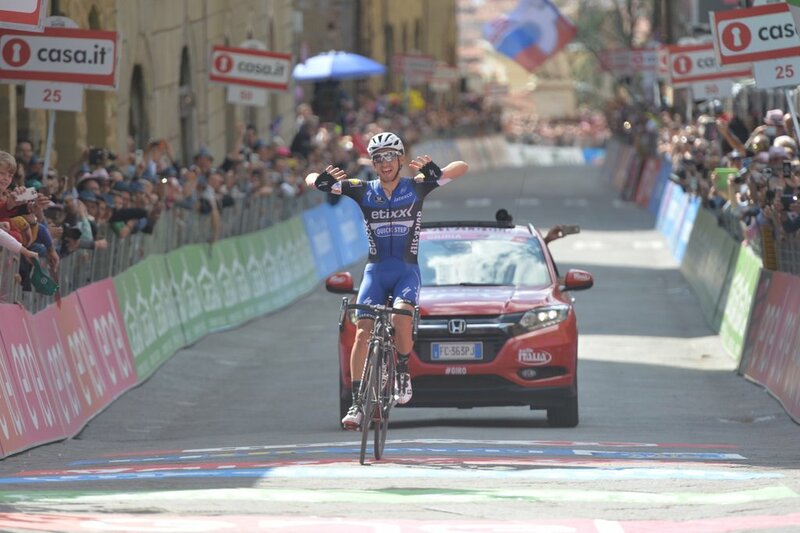 Gianluca Brambilla (Etixx-QuickStep) won stage 8 of the Giro d’Italia today, marking the Italian ride’s first-ever Grand Tour victory. 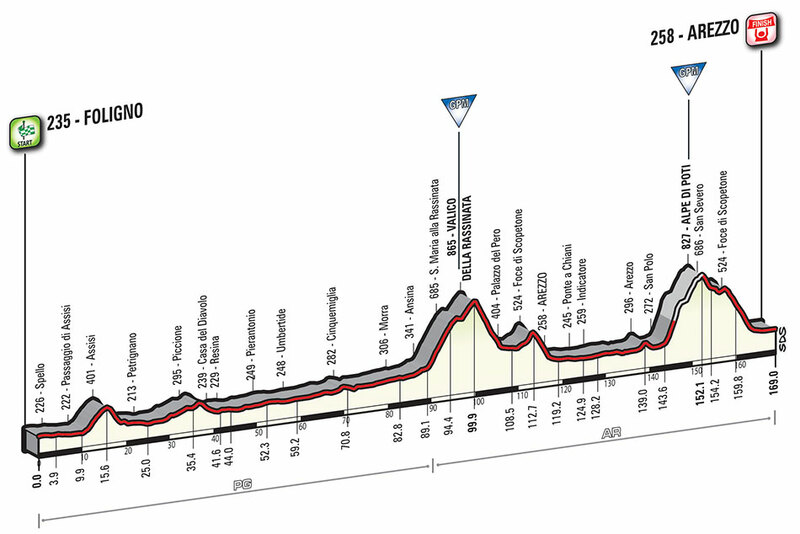 Brambila was part of an early breakaway group of 13 riders, before making his winning move along the dirt roads to Alpe di Poti, taking Matteo Montaguti (Ag2r La Mondiale) along with him. 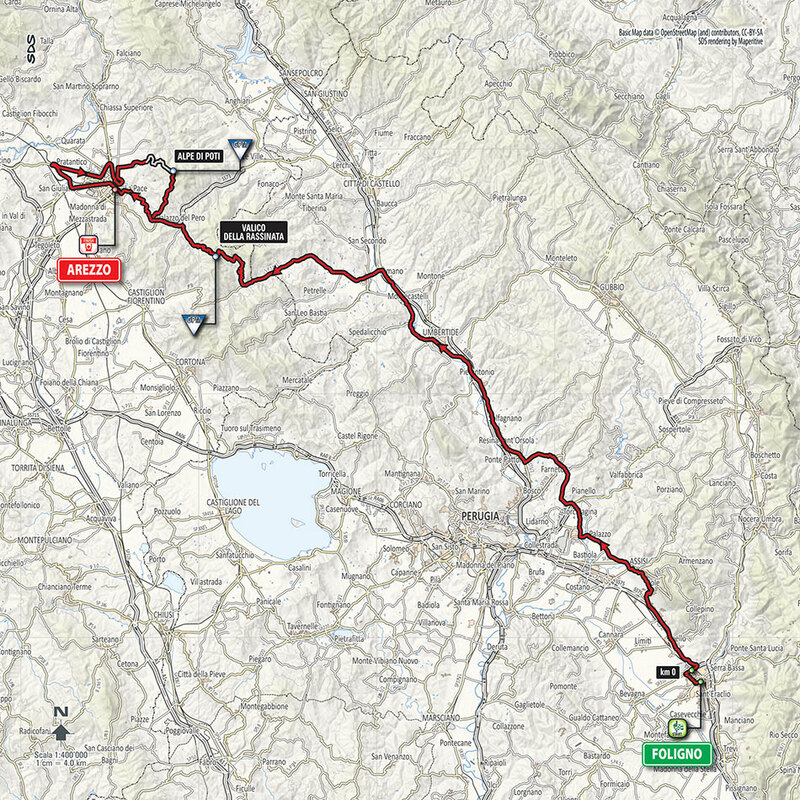 From there, the Etixx rider was able to rapidly put a decent gap between him and his breakaway companions and managed to hold Montaguti at around 45 seconds behind with the GC contenders almost two minutes back, as he made a daring and fast descent from the summit of the climb. As Brambilla forged on, Alejandro Valverde (Movistar) was causing fractures in the group behind as he attacked on the early slopes of the climb with around 23.9 kilometers to go, with all the GC hopefuls, including Vincenzo Nibali (Astana), Esteban Chaves (Orica-GreenEdge) and Mikel Landa (Sky) all able to stick with the veteran Spanish rider. 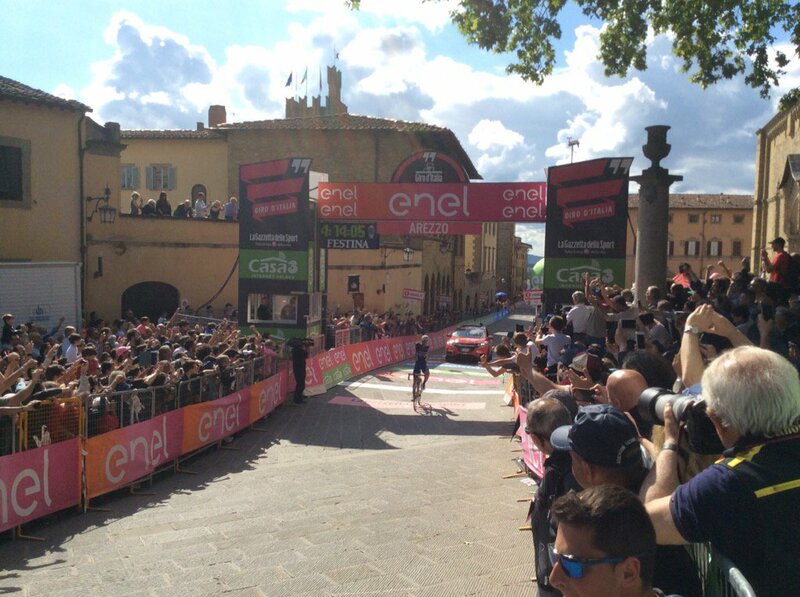 But there was no such luck for the maglia rosa, Tom Dumoulin (Giant-Alpecin), as he was quickly dropped and struggled to make up lost ground on the Valverde group. With the long time trial on Sunday, there’s still a strong chance for the Dutch rider to retake the pink jersey and overhaul the 1-05 gap to Brambilla at the top of the standings. 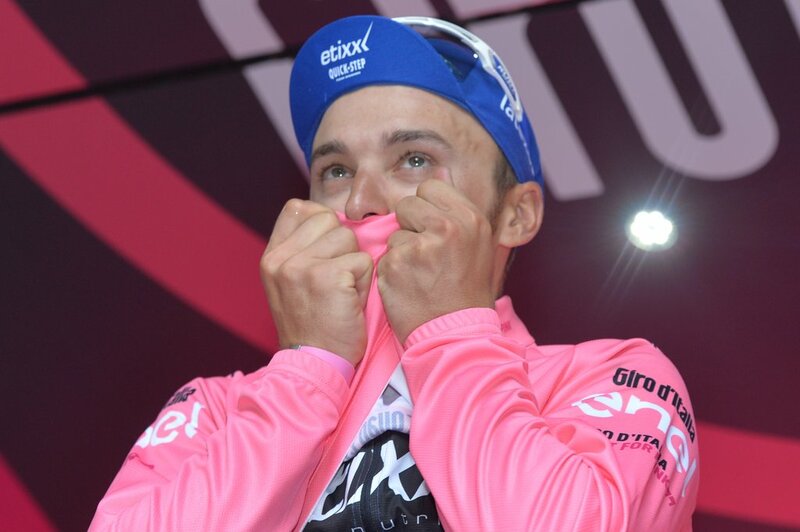 But he’ll have to wary of the likes of Ilnur Zakarin (Katusha) who sits at 23 seconds in second place and is an able rider against the clock and will certainly have his eyes on pink. 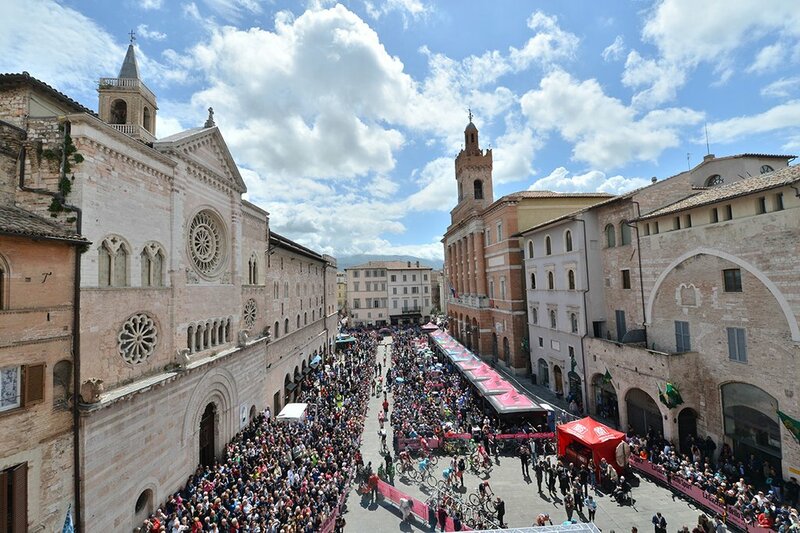 Sunday’s stage nine sees the riders take on the rolling 40.5 kilometer time trial in Chianti, that could have a major impact on the overall classification of this Giro d’Italia, with a welcome rest day on Monday as the race heads towards its second week.